Northumberland Mam: Kirstie Allsopp Fragrant Rose Soap Making Kit - Review! 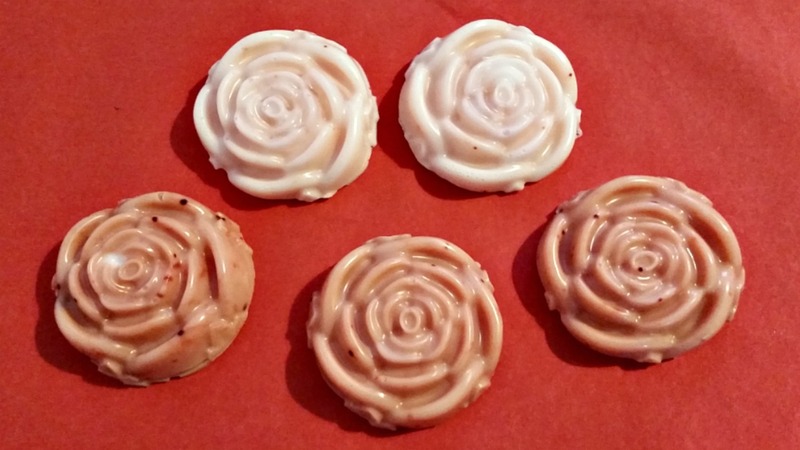 Kirstie Allsopp Fragrant Rose Soap Making Kit - Review! This kit each contains everything you'll need to get started. It includes white melt and pour soap base, clear melt and pour soap base, rose fragrance, rose moulds and pink powdered dye....Perfect whether you are a novice or a seasoned expert. I left it all for a couple of hours to set and carefully prised them out.....I was very impressed with the end result! This is a great set....The instructions are straightforward and easy to follow...I made the soaps in the most basic of ways there is many ways to make it....You can try marbling it, adding rose petals, making it striped or whatever you fancy! Whether you give this kit as a gift, create handmade soaps to treat friends or family with or simply spoil yourself, it'll be perfect. The Kirstie Allsopp Fragrant Rose Soap Making Kit costs £20.00 and is exclusive to Hobbycraft. Those look fab! I have always wanted to give soap making a try, but I've always been put off thinking it would be super difficult. A very pretty result! This looks like good fun. Oh this looks amazing, I would love to try something like this - I will have to pop down to our nearest Hobbycraft. I love the soaps you have made, they look fab! This is beautiful l love to craft and i'm always looking for new ideas, fab l love it! i just watched this on your you tube channel. I'm a huge Kirsty Allsop fan - like her, I love to try lots of new crafts. I must look this one out, I'd love to have a try!